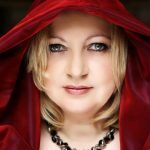 As one of Ireland’s leading mezzo-sopranos, Victoria Massey commands an eclectic vocal repertoire spanning the genres of opera, oratorio, art song, and musical theatre. The Dublin-born singer has enchanted audiences of the finest opera houses in Europe with her engaging interpretation of roles from the manuscriptsof Steffani, Mozart, Busoni, Gounod, Richard Strauss, Britten, Wagner and Balfe. Recognition of Victoria’s sophisticated vocal virtuosity has led to invitations to perform on the concert stages of Ireland, the UK, Portugal, Italy, Germany, Austria, and Mexico. She is particularly respected for her work as a soloist in celebrated oratorios such as Vivaldi’s Gloria, Pergolesi’s Stabat Mater, Bach’s Weihnachts-Oratorium (‘Christmas Oratorio’) and Magnificat, Handel’s Messiah, Mozart’s Requiem, Verdi’s Messa da Requiem, Rossini’s Stabat Mater and Petite Messe Solennelle, and Elgar’s The Dream of Gerontius, to name but a few. To date, Victoria’s international festival profile includes appearances at Macerata Opera Festival (Italy), Opera Festival Klosterneuburg (Austria), Chiemgau Summer Festival(Bavaria), Belem Cultural Festival (Lisbon), and Altolivenza Festival (Italy). She has sung with the Royal Opera Covent Garden, Teatro La Fenice, Opera Theatre Company, and Opera Ireland. Victoria made her Mexican debut in Elgar’s Sea Pictures and Mahler’s Kindertotenlieder under the baton of Jan Latham- König in 2014. The following year saw her take to the concert stage in Kecskemet, Hungary with pianist Balázs Székely as part of the Kodály Art Festival. A former student of the Hochschule Mozarteum in Salzburg and a first-class honours graduate of the Masters in Performance Programme at DIT Conservatory of Music and Drama, Massey’s vocal talents have garnered recognition from prestigious musical bodies such as Ireland’s Feis Ceoil, Italy’s C.A Seghizzi International Choral Singing Competition, and the Lombard and Ulster Bursary Award. Her voice can be heard on a number of RTÉ lyric fm recordings. As a seasoned performer, Victoria is in constant demand for her pedagogical and adjudicating skills. O’Duinn singing the AltI solo in Handel’s Messiah. Victoria teaches singing in Dublin and has been a Music Generation Wicklow tutor since 2013.